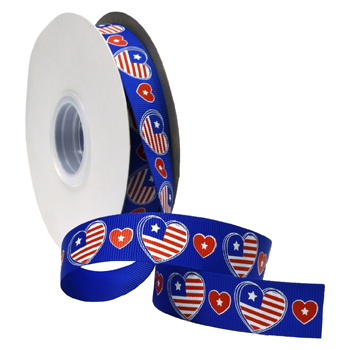 Show your love for America with our Patriotic Hearts grosgrain ribbon. A beautiful printed grosgrain ribbon with red, white, and blue heart shaped flags. Perfected for any celebration where you want to show that you are USA proud!